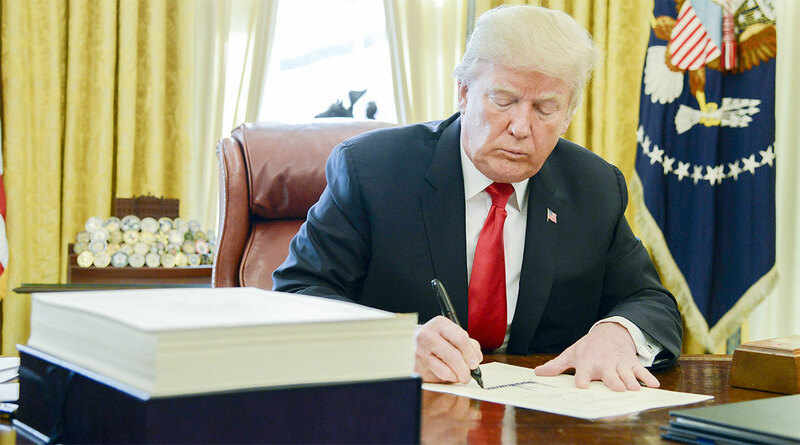 From large carriers to single-truck fleets, many in the industry are analyzing how the federal Tax Cuts and Jobs Act will impact their income and are formulating strategies to adapt to the new rules — including the possibility of restructuring their companies, accountants said. The nuts and bolts of how the law will affect trucking businesses depends on business type. PORTS, RAILROADS HAPPY TOO: Tax reform benefits them as well. In general, there are three types of entities. One is a C corporation, which is the traditional structure of companies traded on the stock market or otherwise and which can be worth millions or even billions in value. Another is an S corporation, where income is passed through to the partners of the company. Pass-throughs, as some refer to it, are commonly used in family-owned businesses, limited liability partnerships (LLPs) and limited liability companies (LLCs). Finally, there are sole proprietors, such as an independent contractor operating with one truck. For the C corporations, the tax bill lowers the federal income tax rate from as high as 35% to 21%. For S corporations, accountants will calculate 50% of W-2 wages, 20% of taxable income and 25% of W-2 wages plus 2.5% of all qualified property and apply the lowest of the three totals. Accountants believe the 20% deduction on taxable income will be common with asset-based carriers employing company drivers, knocking the highest tax bracket down from 37% to 29.6%. “Remember that even though the C corporation tax rate is lower, there is double taxation. When a C corporation issues a dividend, the individual pays a tax, whereas distributions in an S corporation normally aren’t taxable,” said Mark Flinchum, partner in accounting firm Katz, Sapper & Miller. Flinchum and Smith both said companies are already talking with their accountants to discuss whether to transition from an S back to a C. Smith noted that it’s a complicated issue and that each situation is different. For the independent contractor, the conversation is whether to remain a sole proprietor or become an S corporation. Some small unincorporated fleets are also examining the pass-through income structure. Kevin Rutherford, an accountant and owner of Let’s Truck, a services firm that works primarily with owner-operators, said that one major drawback to being a sole proprietor is that profits are subject to both an income tax and a 15.3% self-employment tax for Medicare and Social Security. As a pass-through corporation, there are methods to lower the liability. However, the Internal Revenue Service also requires people in this type of corporation to receive a reasonable compensation. Rutherford added that his recommendation on an income threshold to consider before an independent contractor transitions to a corporation will change after the IRS releases final rules on the law. For company drivers, one important change is that they will no longer be able to deduct miscellaneous expenses on their Schedule A tax forms. For independent contractors filing a Schedule C, these deductions will remain in place. Company drivers may place a greater emphasis on per-diem pay to offset losing miscellaneous expenses, according to accountants. Currently pegged at $63 per day, a driver working 300 days would receive $18,900 in tax-free per diem. “By paying per diem as a substitute for wage, the driver pays less federal income tax, state and local income tax and Social Security and Medicare. In Michigan, for example, that can be $80 per week in paycheck increase. It’s the biggest raise the driver will see,” said Mike Ritzema, president of Superior Trucking Payroll Service. Motor carriers also will have to adapt to new rules on purchasing new and used trucks. Like-kind exchanges, also known as 1031 exchanges, were eliminated except for real estate. Carriers frequently used the provision to delay paying taxes on the sale of a truck. Instead, the legislation raised the “bonus” depreciation expense from 50% to 100% through 2022, allowing a carrier to write off the full value of a new or used truck immediately, rather than over a three-year period. “There’s no doubt this is a huge thumbs-up in the short term, although that may not be true in the long run when the bonus depreciation sunsets,” said Randy Hooper, director of Katz, Sapper & Miller’s business advisory group. Many small trucking companies already fully deducted equipment under IRS Section 179. The law raised the cap from $500,000 to $1 million in 2018. Fleets with heavy debt and minimal operating income will be hurt under a new provision in the law limiting pre-tax interest expenses to no more than 30% of earnings before interest, tax, depreciation and amortization (EBITDA).